Parliament voted in favour of renewing Britain’s nuclear deterrent, Trident, by a majority of 355 after it was backed by almost the entire Conservative party and more than half of Labour MPs on July 18th last year. The vote was passed despite opposition from all the Scottish National party MPs. The Guardian reported two months earlier that the total cost of replacing the Trident nuclear missile system will be at least £205bn, far more than previously estimated, according to figures drawn up by the Campaign for Nuclear Disarmament. It calculated the total on the basis of official figures, answers to parliamentary questions and previous costs of items including nuclear warheads and decommissioning nuclear reactors. It says it has not taken into account that past Ministry of Defence projects have frequently gone well over budget. Since then, nuclear war threats between the United States and North Korea have escalated. Those who believe nuclear weapons “deter war” need to reconsider, Trident whistleblower William McNeilly told RT. 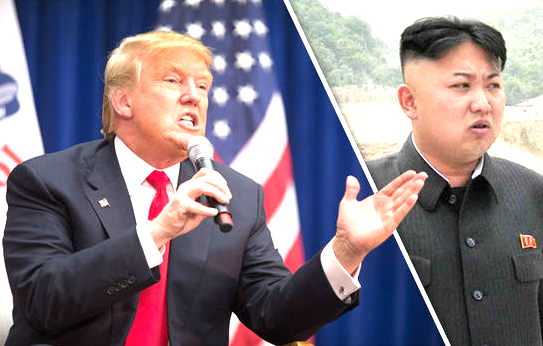 US President Donald Trump has warned any nuclear threats by North Korea will be met with “fire and fury” as Pyongyang announced it was “carefully examining” a plan to attack an American military base on the Pacific island of Guam. Speaking to RT, McNeilly said people who promote nuclear weapons claim that “nuclear weapons deter war.” However, that claim is based on the assumption that humans are rational thinkers, he says. “The United States clearly has the power to destroy Kim Jong-un’s regime, but that didn’t deter Kim Jong-un from threatening to bomb Guam. Clearly weapons aren’t that great of a deterrent. “The Islamic terrorists aren’t deterred by nuclear weapons. The Chinese weren’t deterred by India’s nuclear weapons when they recently threatened to start a war with India, over Indian troops entering Chinese territory. India and Pakistan aren’t deterred by nuclear weapons when their troops kill each other in Kashmir. The terrorists launching rockets into Israel aren’t deterred by Israel’s nuclear weapons. Then just as a little more proof was not really needed the New York Times reports an American own goal in the geopolitical comedy it currently finds itself in. “North Korea’s success in testing an intercontinental ballistic missile that appears able to reach the United States was made possible by black-market purchases of powerful rocket engines from a Ukrainian factory with historical ties to Russia’s missile program, according to an expert analysis being published Monday and classified assessments by American intelligence agencies”. The own goal is quite clear. When the US State Department supported Ukraine’s domestic forces to stage a successful coup in 2014 against then pro-Russian president Viktor Yanukovych, the outcome was more or less designed around the idea that it was to be an undisputed US ally, whilst stripping Russia of a buffer zone against encroaching western forces – namely NATO. The NYT goes on to say that “The studies may solve the mystery of how North Korea began succeeding so suddenly after a string of fiery missile failures, some of which may have been caused by American sabotage of its supply chains and cyberattacks on its launches. After those failures, the North changed designs and suppliers in the past two years, according to a new study by Michael Elleman, a missile expert at the International Institute for Strategic Studies“. Investigators now believe that, amid the chaos of post-revolutionary Ukraine, Pyongyang has succeeded in acquiring, either legally or otherwise the sudden capability of delivering a nuclear warhead. So Donald Trump has definitely proved something for all to see. Over time, nuclear weapons are placed into the hands of leaders who have different ideologies – Obama to Trump is a good case in point. Another lesson here is that usurping a once stable, democratically elected government for geopolitical purposes can backfire. And ironically, backfire is a good word to use! American investigators do not believe that denial despite a raft of United Nations sanctions, suggests a broad intelligence failure involving the many nations that monitor Pyongyang according to the NYT. In the meantime, Guam island is being used as the potential playground for the battle between North Korea/China and the USA. The Chamorros, Guam’s indigenous people, settled the island approximately 3,500 years before America was even discovered. One of the long-time indigenous residents of Guam has written a letter that best describes the situation there, which starts; Dear America ….